Aurora Day of Service is May 4th! Get information and the “Request a Job” Form HERE. High School teens are invited to join us on Sunday, April 28th to see and hear Mark Hart at Our Lady of Mt. Carmel Church in Darien. Get the details and permission form here. Join our Church Softball League! We will play games against other local churches on Sunday afternoons/evenings beginning in May and going through August. The league is intergenerational for ages 13 to 90. Get details and sign-up here. Teen Alpha Spring Edition: Sunday mornings starting April 7th! 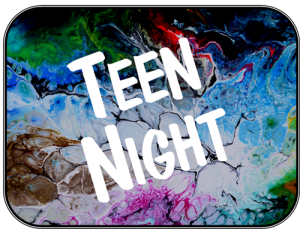 The next Teen Sunday Night is May 5th from 6:30-8:15 pm in the Parish Life Center. All high school teens welcome to attend! We begin with dinner followed by fun, faith, small groups and prayer! Details here. 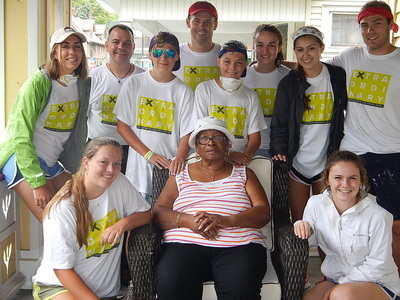 Teen Mission Trip to Charlotte, NY on July 20-28, 2019 is now full! Get Information & be placed on the Wait List here! 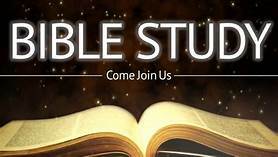 Teen Bible Study will be meeting on Tuesdays. Please contact Dave at DaveM@olmercy.com if interested. What is L.I.G.H.T. Youth Ministry? The L.I.G.H.T. (Living in God’s Holy Truth) program is designed to nourish and strengthen faith formation during all four years of high school. The courses and activities within the program are geared toward strengthening the high school teens’ relationship with Jesus, increasing their desire to serve and affirming their understanding of the Catholic Church. The L.I.G.H.T. program encompasses four “Basic” faith themes: Profession of Faith, Sacraments of Faith, Life of Faith, and Prayer in the Life of Faith. 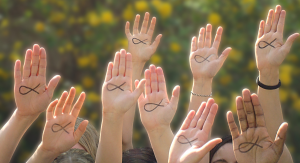 Through thought-provoking classroom instruction, social activities, and service and discipleship projects, the teens will understand that faith is a journey for life and that the sacrament of Confirmation becomes part of the journey — not the end of the journey. Click here to learn more about L.I.G.H.T. Sign-up for our monthly e-newsletter here! A great way to keep in the loop about all that is happening in OLM Youth Ministry. You can sign-up for the reminders on the L.I.G.H.T. program and/or the Teen Sunday Night Youth Group. Get all the details here! L.I.G.H.T. Volunteer Form – for Adults and Teens!